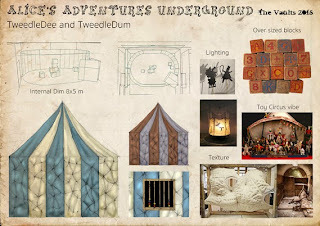 If you don't know about Alice's Adventures where have you been!!! 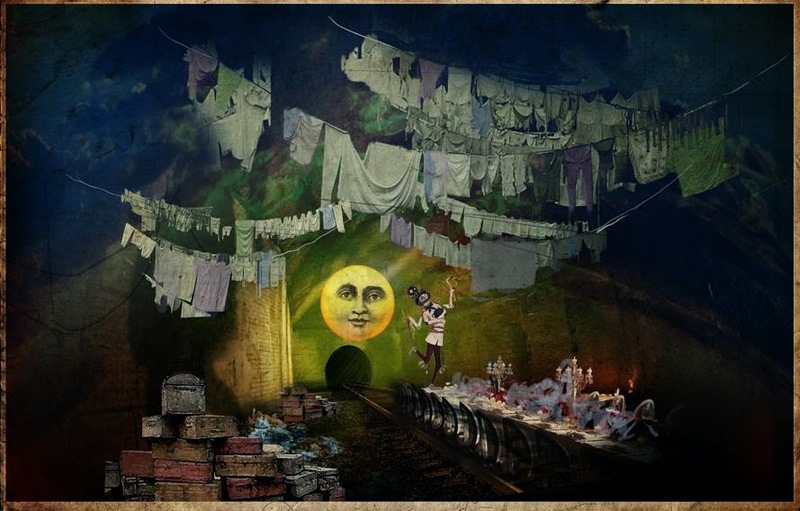 This amazing immersive experiences brings Alive Alive like never before, and is a amazing way to celebrate Alice's 150th Birthday. We've tumbled down the rabbit hole one already, which you can read about HERE and we can't wait to go back. Based in The Vaults in Waterloo the set is expertly constructed...and as my mind is extremely curious I had to know more and more about how they made such amazingness..So I asked. Check out my interview with two of the St Martin's students who got to work on the project! 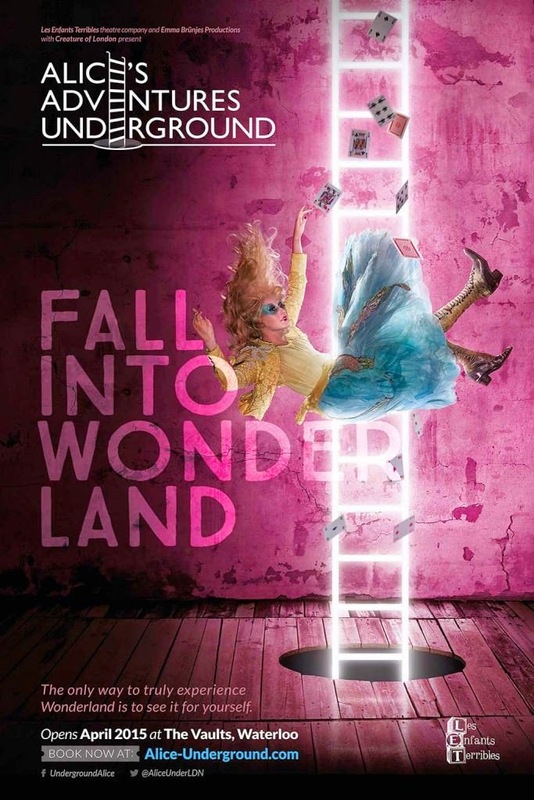 AND THEN GO SEE ALICE's ADVENTURES UNDERGROUND (it's on till August 30th)! 1. First of all can you tell us a little about what part's of the show you worked on? Cherrie: My allocated part was an installation where Humpty Dumpty is found sitting on the wall, surrounded by bird nests and decoy birds. The narrative tells that Humpty Dumpty is a spy who lives at the edge of the Wonderland. In order to accomplish his spying activities, Humpty Dumpty built Decoy Jub Jub Birds and Bird Nests with found objects for distraction and conceal purposes. 2. Why do you think Alice is such an appealing story to people? Cherrie: The storyof Alice in the Wonderland creates imaginative worlds in which everyone could let their minds roam free. Moreover, it is a fun story packed with original characters that engage people of all ages. Nicole: Alice is so well known to everybody and it opens another mysterious world to our childhood. 3. What is your favourite part of the story and who is your favourite character? Cherrie: My favourite part of the story is Alice’s encounter with the Caterpillar. The conversation between Alice and the Caterpillar brings into focus the themes of change and growing up. Cheshire Cat is my favourite character, I love the moments when the cat disappears gradually until nothing is left but its grin. Nicole: My favourite part of the story is The Mad Hatter having tea party with Alice and the animals. My favourite character is the Mad Hatter. 4. The show features a mix of the physical elements as well as some of the digital, did you get to work on both, and did you prefer one to the other? Cherrie: There is a Special Effect team who is responsible for all digital elements such as projections and optical illusions, therefore the art department could focus on the physical elements. I have no preference on either, as it really depends on the design and the effects I try to achieve. 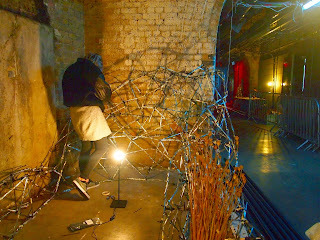 Nicole: I took part in the physical elements in the show, which I have painted the walls and floor and the elements you found in the red boarder control room. 5. Can you tell us a little about how you all went about choosing which elements of the story you wanted to include and the process of taking an idea from conception to actual design? Cherrie: We had a list of spaces to choose from, with brief descriptions of what and how each space fits in with the narrative of Alice Adventures Underground. 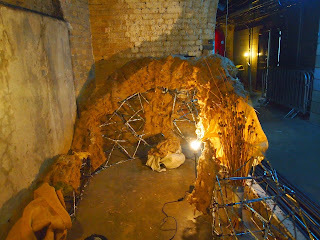 Then each of us got assigned to one installation. 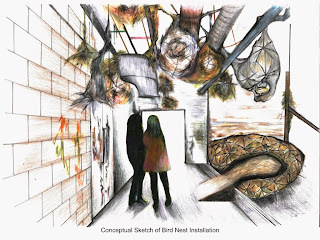 My design process begin with drawing conceptual sketches, including elements and materials that I intend to include in the installation. Then, my next steps were to do research and experiment with materials. Nicole: We were given a brief of the room which indicates the storyboard and what atmosphere the room should be like. 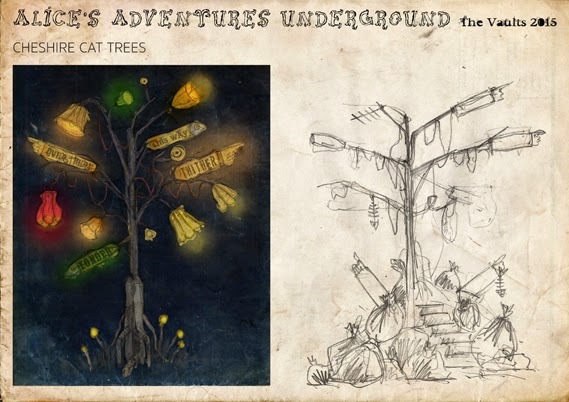 So I was able to bring further to the design base on the mood and the story but at the same time working in the brief. 6. Which is your favourite room in the show? Cherrie: The Pool of Tears set is my favourite in the show. I think it is a very powerful and memorable scene: the dramatic fall of rain from the ceiling was the climax of the live music performance. Nicole: The tea party room. 7. Which was the hardest room to create? Cherrie: Each student has their allocated space to focus on and we do not get the chance to be involved in creating other rooms in the production. In my opinion the WURM room (constructed by my classmate Baoyi) was quite a technical challenge, as everything in that room has to be hung upside down. 8. What is your favourite prop from the show? Cherrie: My favourite prop is the scale weight in the kitchen because this prop is interactive and fun. Nicole: The little doors in the door room. 9. Were there rooms that completely changed through the process or you ended up not including? Cherrie: I think it is inevitable that some parts of a design were slightly adjusted during the process of making and construction, these decisions could be due to technical, aesthetic, health and safety concerns, as well as time issues. I ended up including most of my visions and I felt grateful about that. 10. How long did each room take to create and how many people would work on a room? Cherrie: Approximately 10 days. The number of people working on a room depends on the size and level of details of the particular space. Generally speaking there were 2 people working on a room. Nicole: It really depends. I worked for 3 weeks in the red boarder control room with 1-2 helpers sometimes and a carpenter. For the bigger installation it will take up to 4-5 weeks and more people to get involved in . 11. 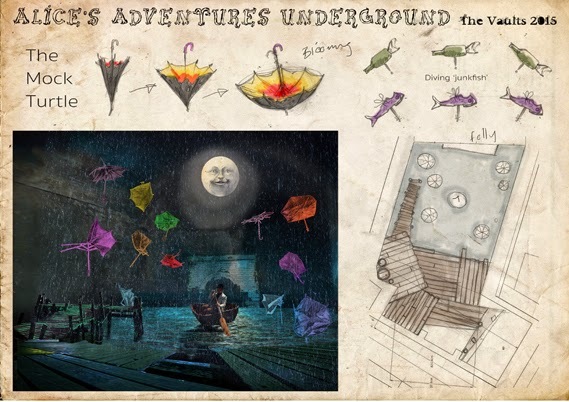 If you could work on another book to create an immersive experience which would it be and why? Cherrie: It would be Peter Pan. 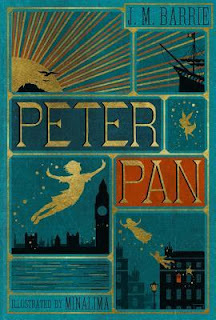 I am particularly interested in the theme of never-ending childhood and adventures in Neverland. Also there are fictional characters such as mermaids, fairies and pirates. Nicole: I can’t think of a book but I am very interested in working on something like the film ‘Inception’ written , produced and direct by Christopher Nolan. As I really like how the characters transfer through the dreams and reality and how they creates in the dreams which I think it has a great potential to make as an immersive installation and would be really interesting as well.